This dog can not go to a home with, or interact with, cats. Lucio is basically a pocket Great Dane. All the looks but not all the size! He's still a big dog, but not massive, and he's such the polite gentleman. After getting to know you a bit he's so excited to see you and heads right in for kisses! Not by jumping however. Lucio is too polite for all that. This handsome guy has enough energy for walks, fetch, and fun, but not overwhelming so. Lucio is the perfect fetch machine. He brings the ball right back to you, dropping it at your feet and sometimes dropping it right in your hand. Even when engaged in his favorite activity, he's still very much a gentleman. Lucio can be a bit shy, but after your first walk with him, he warms up and to start giving kisses. As much as he enjoys his playtime, he's quite content to settle down for snuggles with his humans. Lucio is also thriving in APA! 's Total Obedience Program (TOP), which is modeled after the AKC's Canine Good Citizen (CGC) test. 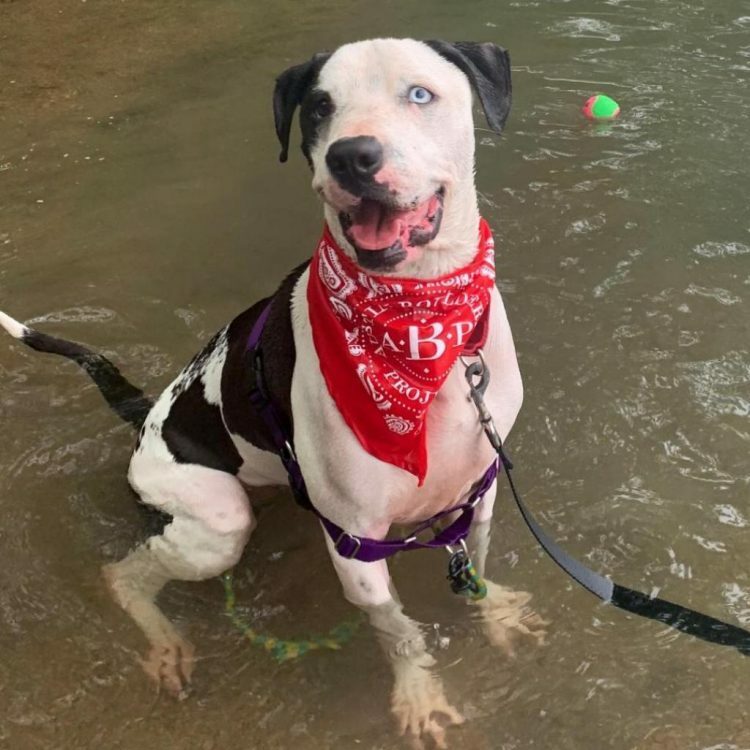 As a TOP dog, Lucio has a personalized training plan and works with a volunteer trainer several times a week to help him learn the skills to become the best dog he can be! He is learning skills like down, walking nicely on leash, sitting calmly when approached by strangers or other dogs, staying in a sit or down until told "free," coming when called and "Place", which means he will go to a specific place in your home on command. Lucio is hoping for a home with someone who will play with him and take him for walks, but also make time for those snuggles. A yard where he can play fetch would be ideal. Come meet this perfect pup! I saw Lucio (https://www.austinpetsalive.org/adopt/dogs/apa-a-60659) on the Austin Pets Alive! website and would like to request more information.